An illustration from a 1913 issue of Cosmopolitan magazine. The caption reads: "At the same time, he deeply inhaled the odor of the gloves." "Yeah, call it a hunch . . . Whatever you do, don't call it what it was — a sudden flood of complete certainty that if he looked at those long-ignored records, he would find something. Because if you call it that, you'll have to admit you don't know what the hell is going on inside your own head these days." "The health risks of obesity are exaggerated. This may surprise you." A long sunbeam lighting up the whatnot . . .
"An essential point bears repeating, however: All of us are expert musical listeners, able to make quite subtle determinations of what we like and don't like, even when we're unable to articulate the reasons why." "The key to power over spiritual nature has been rusting since the flood. It is: wakefulness. Wakefulness is all." Portrait from Biography of Frances Slocum. 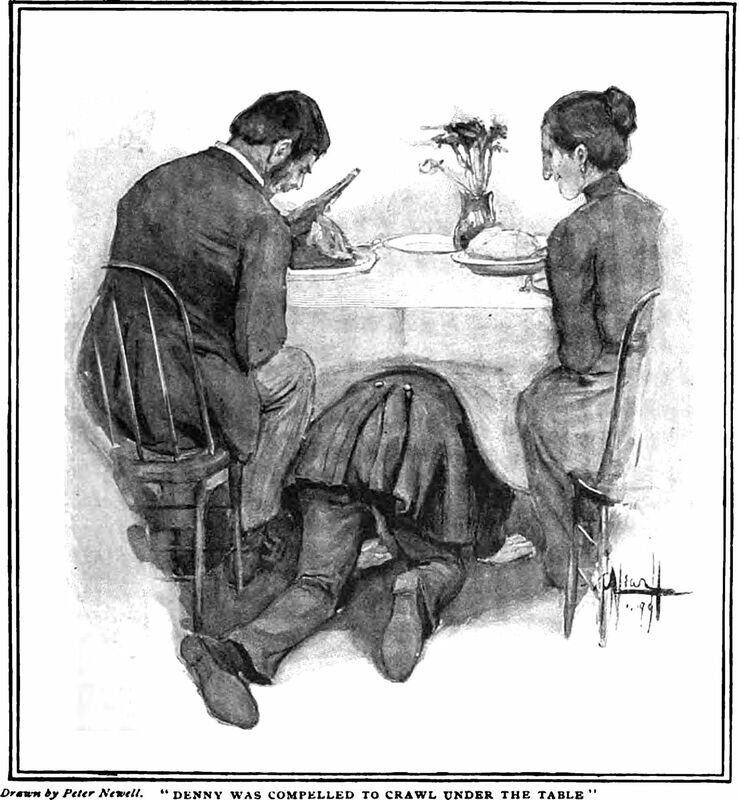 An illustration from an 1882 issue of Harper's magazine. "Objects contain the past, present and future, if we know how to trap their secrets." An illustration from an 1890 issue of Cosmopolitan magazine. The caption reads: "Mostly he painted his pictures in the air." "A rose is a rose but the rest sure ain't." "The surprising truth is that violent TV programs are not more popular but they are more profitable." "Look at the sun blazing there among the peaks, too blinding almost for our eyes. See how he touches the mountaintops and how they dissolve into fire at his touch. Some day, I tell you, he will burn as we please and spin at our command. He will be our servant, our convenience, our instrument. He will be the fire before our door, the light of our first home as we spread out our power and our blood farther and farther amidst the stars." —H.G. Wells, "The World Set Free"
An illustration from a 1913 issue of Century Illustrated magazine. "In the most blessed, the most beautiful state the human race can attain[,] [e]ach one of us would grow in a different way, no one would be like anyone else, everyone would be a crystal, would think and feel in different colours and images, would love and hate differently, as the spirit within wants us to. It must have been Satan himself, the enemy of all colorful diversity, who thought up the slogan that all men are equal." A ghostly illustration from a 1902 issue of The Strand magazine. 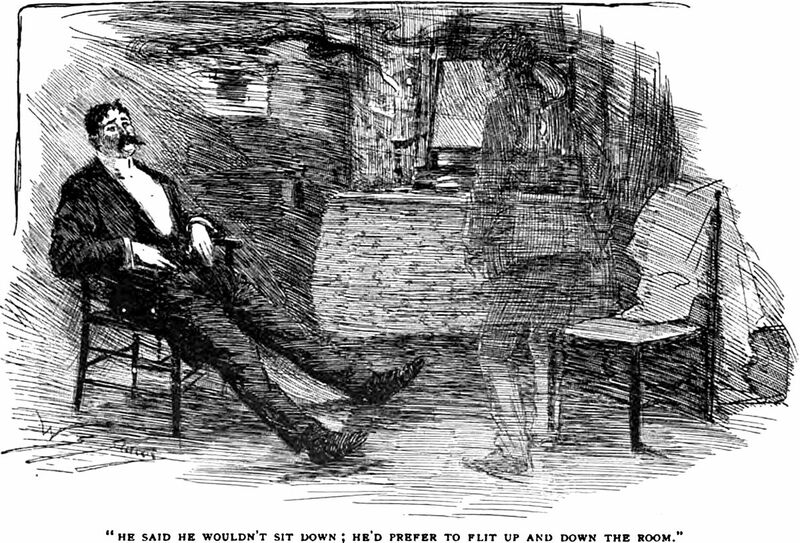 The caption reads: "He said he wouldn't sit down; he'd prefer to flit up and down the room." Portrait from Memoir of Roger Brooke Taney. An illustration from an 1887 issue of Scribner's magazine. 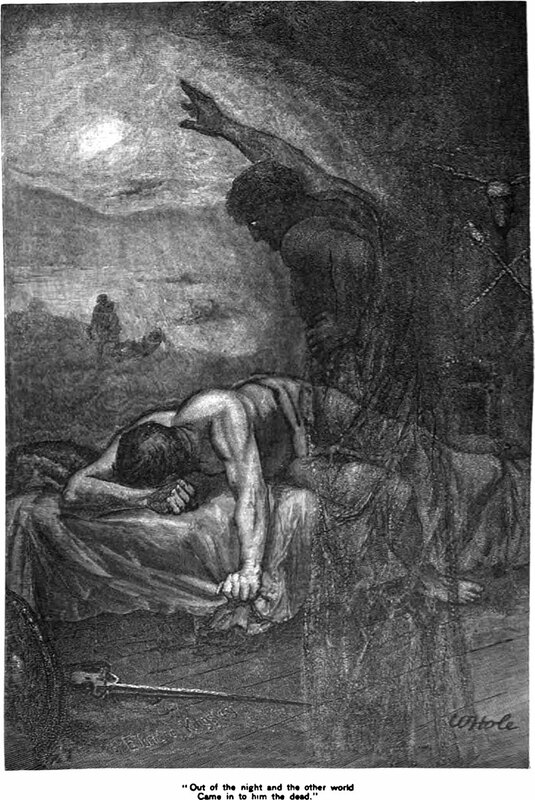 The caption reads: "Out of the night and the other world came into him the dead." Here's an illustration from a 1900 issue of The Strand magazine. The caption reads: "I fell for evermore into the abyss of the sky." 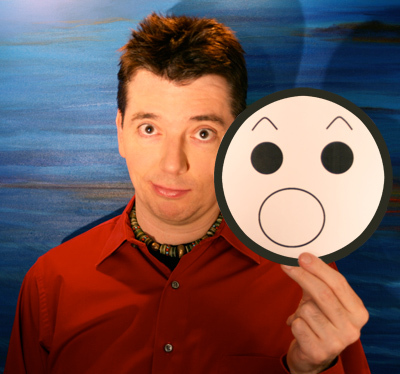 "The Markee observed, apropos of nothing in particular: 'Ha, ha!'" "The world we live in is a world of effects; the realm of true causes is hidden. If we should ever discover it we would be able to perform magic." Portrait from The Life of Rutherford Birchard Hayes. 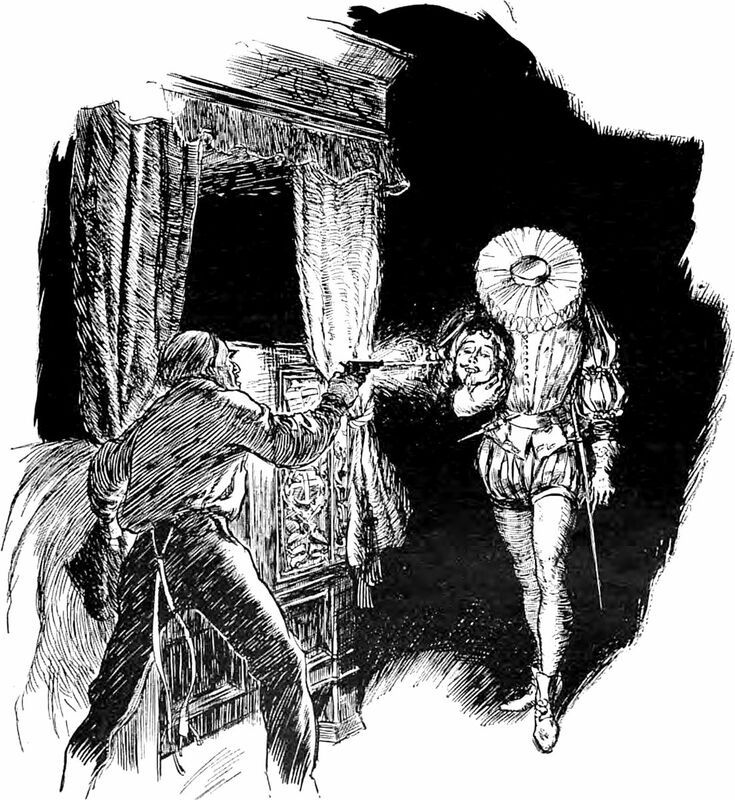 An illustration from an 1897 issue of The Strand magazine. The caption reads: "(To be continued.)" "A constraint is the germ of an idea absent the idea itself." Our caption to this illustration from an 1877 issue of Scribner's Monthly is dedicated to house painters. "A rose is a rose, but a tulip can bankrupt you." 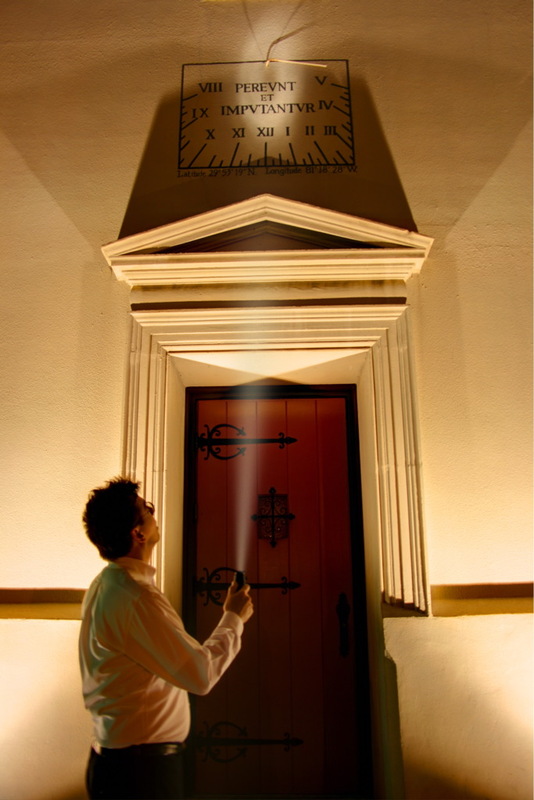 "A quest is to ask a question in motion." Staring into the depths: an illustration from a 1902 issue of The Strand magazine. 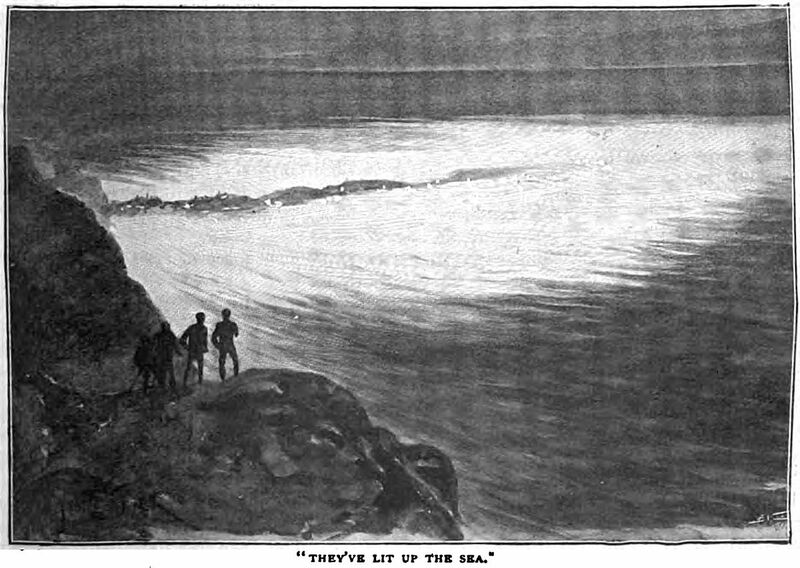 The caption reads: "They've lit up the sea." "If one man has an idea, that just means that many others will have the same idea at the same time. Anyone who doesn't see that doesn't know what an idea is. Thoughts are contagious, even if they are not expressed; perhaps most contagious when they are not expressed." Portrait from Memoir of the Rev. C. H. O. Cote. I dreamed that two nebulae collided to form a cosmic semicolon, but Big Science held its camera upside down and called it an exclamation mark. "It bears repeating that two wrongs don't make a right." "The outstanding characteristic of the Russian people is their gaiety." "Memory has its own special kind. It selects, eliminates, alters, exaggerates, minimizes, glorifies, and vilifies also; but in the end it creates its own reality, its heterogeneous but usually coherent version of events; and no sane human being ever trusts someone else's version more than his own." An illustration from an 1891 issue of The Strand magazine. The caption reads simply: "Heard voices." "If I remember correctly writers usually find some excuse for their books, although why one should excuse oneself for having such a quiet and peaceful occupation I really don't know. Military people never seem to apologize for killing each other yet novelists feel ashamed for writing some nice inert paper book that is not certain to be ready by anybody." "Fire is the only certainty." One second after we snapped this shop window display at 2 a.m., we were surprised to see the external lights switch off (they're presumably controlled by an auto-timer). But the shop's electrical austerity was our gain, as we snagged a very differently lit second shot. Click on the photo below to see the second shot. "There is a fine line between success and failure in fashion innovation." Portrait from Memoir of the Rev. Elias Cornelius. An illustration from an 1899 issue of Harper's magazine. The caption reads: "The moose could hear him coming for an hour." "A rose is a rose is a rose . . . until it dies." 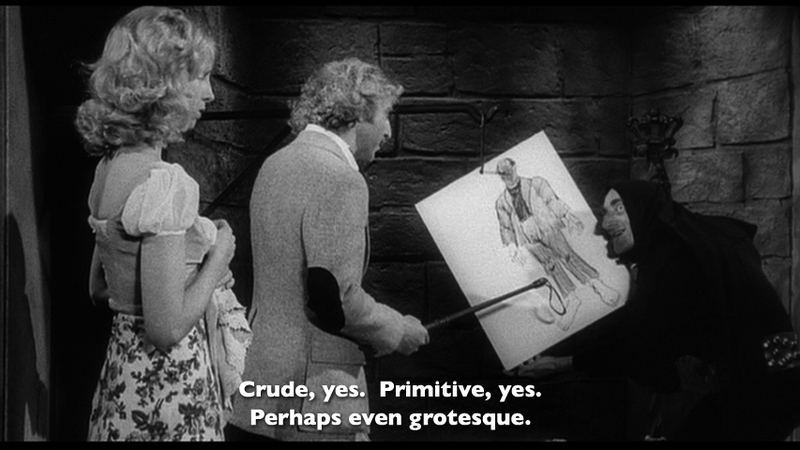 "Every new invention, every new idea to appear in the world puts on a grotesque face as it develops." "This may come as a surprise, but we don't need to be right in order to be smart or wise." "Schoolmasters ... are like animal tamers; the latter think it is important for lions to jump through hoops, the former spend all their time getting children to remember that the late lamented Hannibal lost his left eye in the Pontine swamps; the one turns the king of the desert into a circus clown, the other a divine flower into a bunch of parsley." Portrait from The Life of Cervantes. An illustration from an 1899 issue of Cosmopolitan magazine. The caption reads: "Denny was compelled to crawl under the table." "All the lives we could live, all the people we will never know, never will be, they are everywhere. That is what the world is." "If it bears repeating, I sympathize with your situation." Portrait from Memoir of Nicholas Hill. An illustration from a 1913 issue of Cosmopolitan magazine. The caption reads: "He had a thousand things to say to her ... yet was silent." "'There's a heap of difference in noses,' he murmured, apparently apropos of nothing." "A rose is a rose is a rose . . . or is it?" The surprising truth is that most people don't want to sober up at the end of a night of partying. 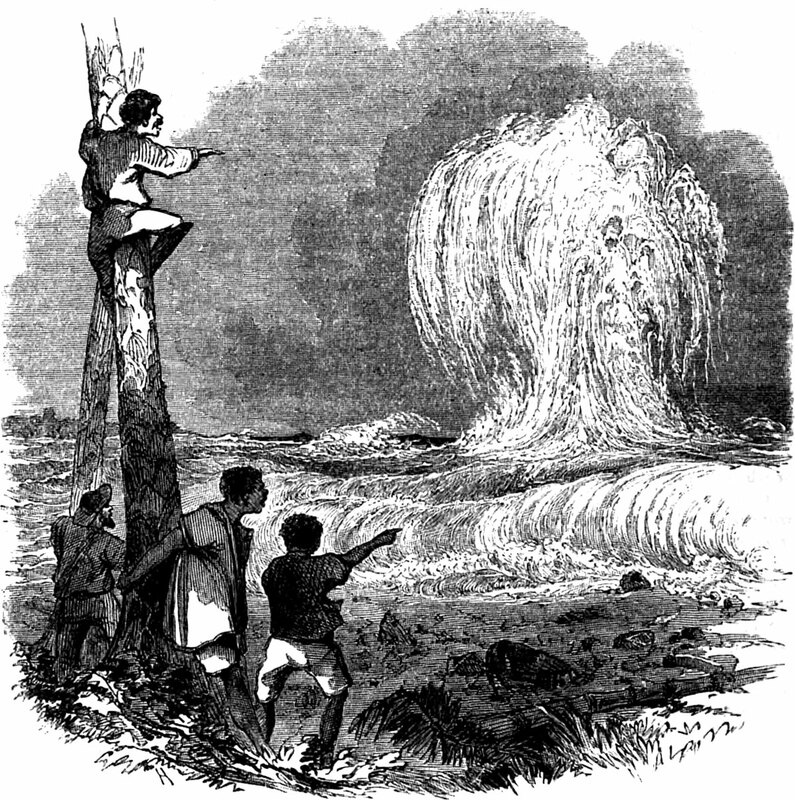 An illustration from an 1858 issue of Harper's magazine. 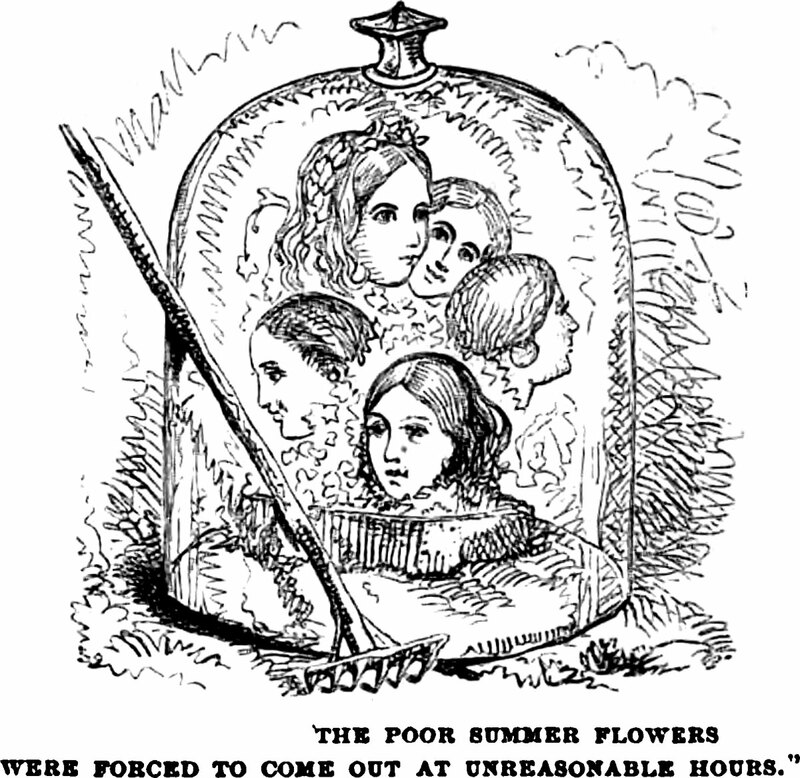 The caption reads: "The poor summer flowers were forced to come out at unreasonable hours." "Our teachers are like sorcerer's apprentices, who spend all their time deforming the mind, until the heart dies of thirst. When they have accomplished that, they declare their students ready to go out into the world." A cubist sugar boat from a 1909 issue of Cosmopolitan magazine. "At times I had thought of writing poetry myself but getting words to rhyme with each other is difficult, like trying to drive a herd of turkeys and kangaroos down a crowded thoroughfare and keep them neatly together without looking in shop windows. There are so many words, and they all mean something." "Now this may surprise you, but I think the automotive industry is doing its best." Portrait from Biography of Rev. Ezra Keller. An illustration from a 1906 issue of Cosmopolitan magazine. The caption reads: "The eyes of terror." "People under seventy and over seven are very unreliable if they are not cats." "The triumph of empiricism in science is jeopardized by the surprising truth that our sense-data are primarily symbols." Portrait from Memoir of the Duchess of Orleans. 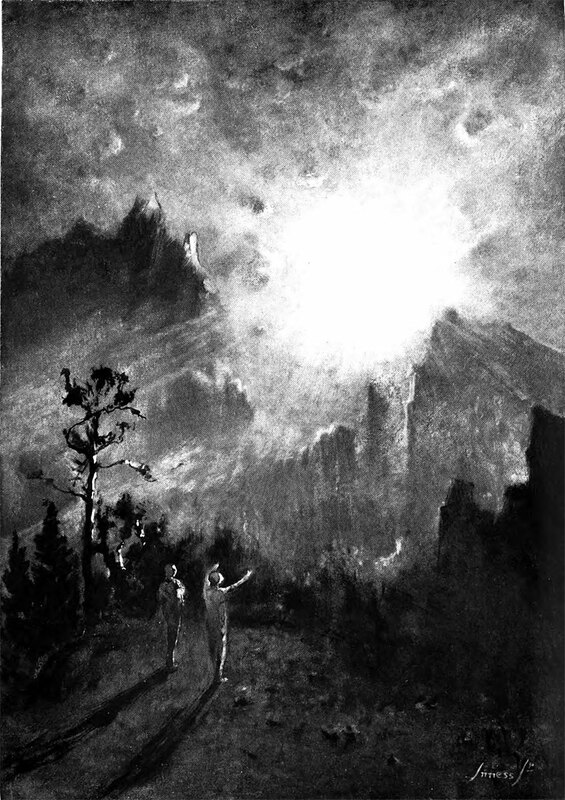 An illustration from an 1898 issue of The Strand magazine. The caption reads: "He was dancing on the water-spout." "A good middle initial can really add a lot. Take 'R' for example."